Hello, I'm Gregor and I put this site together. At first, you'll find an overview of recommended cb radios, followed by a public poll and a general buying guide on cb radio. Further down on this page, we do link to other well-written articles and reviews about cb radios. At last, you'll be able to weight in your own opinion in the comments section. If you also want to vote on the best cb radio, click here to view the poll. Even with the proliferation of smartphones and Internet chat, Citizens Band (CB) radios still have a useful purpose. 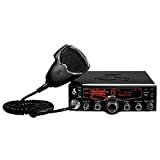 A CB radio lets you communicate with people who live in remote areas not served by mobile communication towers. Also, unlike with smartphones, there are no carrier fees to pay or license costs. What's more, CB radios are very easy to maintain, as there is never anything to upgrade, such as software. But, before buying a CB radio, you should be familiar with the variety of features that can come with them, so that you can chose a radio that best meets your needs. Background noise has historically been a big problem for CB communication. The noise can be so bad as to make communication impossible. Fortunately, many modern CB radios come with technology to reduce background noise. One such technology is called an Automatic Noise Limiter (ANL), which can help reduce both engine and traffic noise. Other technologies include squelch control and RF gain. These technologies reduce noise associated with a poor signal. Finally, an automatic level control can reduce distortion by limiting transmitter modulation. 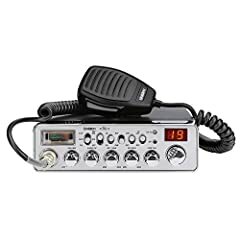 If you are taking your CB radio with you on the go, you should consider a radio with a CB/WX switch. When you turn such a switch to "WX," your CB radio receives NOAA weather channels, allowing to be kept up-to-date with important weather conditions in your area. Some CB radios also come with emergency channels. 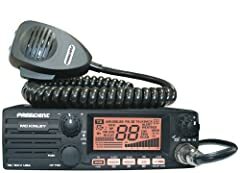 Some CB radios allow you to connect them to PA systems. This lets you broadcast your voice over a great distance, independent of radio waves. This is useful if you need to call out for help, of if you are trying to locate someone who is in need of help. One of the more challenging aspects of using a CB radio is tuning it. If you do not tune the radio correctly, not only can you end up with a weak signal, but you can also damage the device. You can greatly improve the tuning process by using a SWR meter. While you can add a SWR meter to an existing CB radio, many fine CB radios today have a SWR meter built right into them. In addition to weather and/or emergency channels, CB radios typically allow you to communicate over 40 public channels. Though sometimes you want to communicate over private channels, so that you can limit communication to a specific group of people. Some CB radios let you create programmable channels for this purpose, which function in addition to the standard 40 channels. 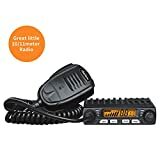 Most CB radios limit you to 4 watts of power when you broadcast, but if you buy a CB radio with SSB — such as the Cobra 148 GTL — you can broadcast with 12 watts of power. This effectively triples the distance you can broadcast. Keep in mind that all participants in such a broadcast will have to have SSB-enabled radios. Though these radios usually allow you to fallback to 4 watts of power, so that you can communicate with standard CB radios. Many CB radios have channel scanners. These scanners work much like a standard car radio scanner. It looks for channel in which an active discussion is taking place, and it is a great feature to have when you are looking for someone to talk to. 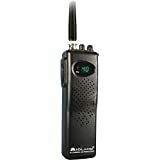 Most CB radios use electric power, but some radios — such as the The Midland 75-822 40 Channel CB-Way Radio — allow you to use batteries as well, which makes the device truly portable. Some CB radios come with what is called Dynamike Boost/Mic Gain. This allows you to increase the perceived volume of your voice. It makes you sound as if you talking louder than you actually are. 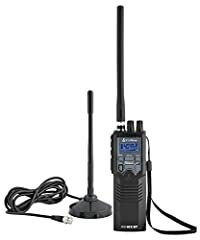 You should look for a CB radio that has a large backlit display, so that you can easily read its settings. 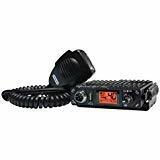 Some CB radios, such as the Cobra 29 LX 40-Channel CB Radio, allow you to dim the light while driving at night. Not all CB radios are physically the same. You should look for a unit that is not only lightweight but also not bulky, especially if you are not planning to install it permanently in your vehicle. Some CB radios, such as the Cobra 75 WX ST, place all the components in the microphone itself, giving you maximum portability. You should select a CB radio that has a one-year warranty, at the very least. This way if something goes wrong with the device, you can get a replacement for it. With so many CB radios to choose from, it can be difficult to select one. So, first, determine which features are most important for you and then limit your selection to CB radios that have these features. You can afterward further pare down this list by adding price as consideration. Just do not make price your prime consideration, or you will likely be setting yourself up for a disappointing purchase. 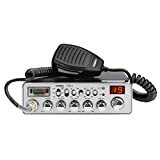 Finally, prior to buying a particular CB radio, read online reviews for the product. Read not only professional reviews, but also reviews written by ordinary users such as yourself. : Some CB radios are easier to install than others. Before buying a radio, make sure that you understand how to install it, and make sure that you are comfortable doing this installation. New: Our editorial list of additional articles. 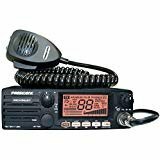 We decided to gather informartion all around the internet and present you a list of helpful, external links to interesting reads about the best cb radios and their reviews and guides. You're not convinced by the previous writings about cb radios? Of course you can just choose by visual impression, that's why we present you all our chosen products at a single glance. A click on any image is enough to open an external link to the best offer we could find. Finally, we want to present you our rating criteria for our cb radio comparison, so you can better understand and comprehend our recommendations and the rating process itself. Furthermore, we still ask you to keep your eyes open for short term deals in order to make some great bargains with cb radio in 2019. Published by G. Krambs on StrawPoll.com (last update on 2019-04-23 08:17:58).